The philosophy behind why we do what we do can’t be taken for granted or expressed enough. As a passionate couple, who has traveled the world to some of the most exotic and romantic locations we looked to find a private oasis in the middle of one of the most exciting cities in the world where a couple has it all at their fingertips and can still rest, restore and be themselves and indulge one on one with each other. A mere moments away from all the lights and action one could ask for on a decadent vacation to celebrate love and unity or just celebrate the day we found the perfect spot here in Las Vegas. Rent one of our cabanas and bring a book to hang out in the sun for hours and get to know each other all over again, laugh with a champagne flight in the shower and relive what it’s like to be newly in love, get to know new things about each other and completely immerse yourself in your partner at a pool where you can even BYOB like no other in Vegas. We never want to separate the couple, the goal is to keep the energy flowing between them through a balanced experience with a great couples massage, a soothing aromatherapy steam shower and rinse, a healthy yet light lunch not to cramp the appetite or bloat you, and enjoy the resorts quiet and reserved pool all together, never apart while charging an affordably priced rate..
We have been inspired by our trips around the world at some of the best most sought after Spas. The Spa at One and Only is World Class. Inspired by ancient traditions and progressive treatments a curated collection of treatments enhances each individual journey of rejuvenation. Though this is not a coed spa the treatments are a true gift enveloped in designer style and grace with massage treatment for couples that is psychedelically profound. The Resort is beautifully designed, on the beach in Mexico, a breathtaking location and a true life altering experience. Spend time in a suite for that private and immersive experience with each other. It’s worth the extra price to experience something so beautiful and romantic that you can cherish the memories of forever. Don’t forget how close you are to the authentic lobster shacks of Los Cabos for a lunch to crave and come back for seconds. Four Seasons Tokyo Spa is held in such high regard and for good reason. A stunning spacious interior, and prime location for exploring one of the biggest most unique cities of Asia. Close to transit to get throughout this metropolis like no other and only a few stops from some of the best food, parks, bars, onsens and massage parlors and entertainment Tokyo has to offer and while you can also check out all the great secret spots in Japan near Tokyo. Four Seasons have another one of the best spas in Japan and complimentary saunas and hot tubs for hotel guests. Traditional Japanese treatments will have you feeling cultured and renewed. A Spa Ritual for Two will leave you wrapped in Zen and Spirit. Get out, hold hands walking through the Pink Sakura trees in the park in Spring, exciting Street Festivals in the Summer and explore one of the worlds most high tech, posh and tech savvy cities with advantageous and adventurous food and experiences found nowhere else in the world. Without venturing far from Tokyo experience the beautiful natural scenery and an outdoor open air bath tub for two connected to your under the Japanese sky and breathe in the fresh air at an authentic romantic Ryoken, or Japanese Inn. 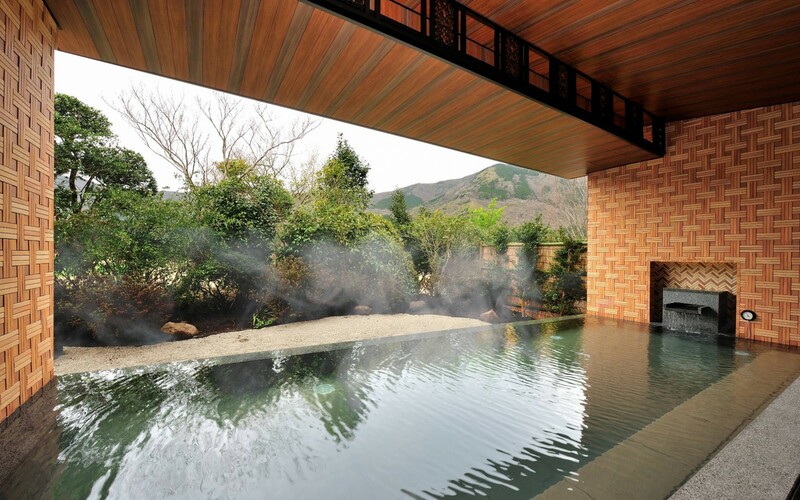 The Hakone Hot Springs are a one minute walk away to truely get in touch with nature. Worth the pics! 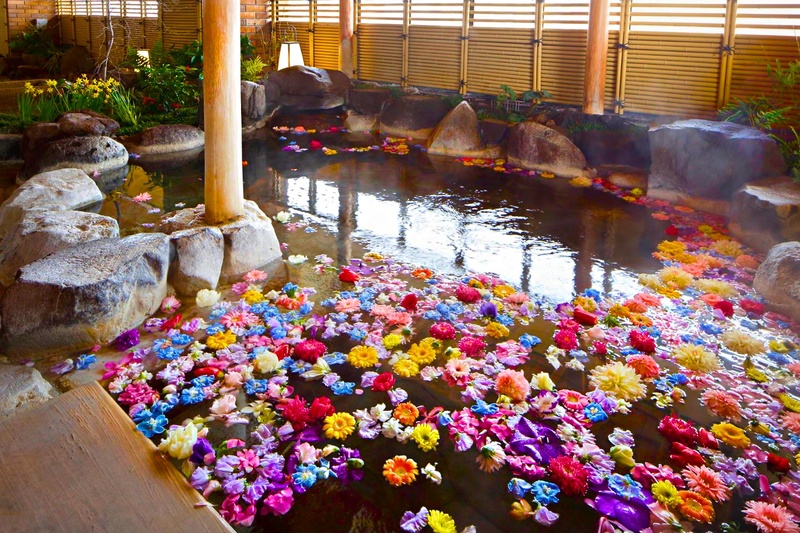 Why so much Japanese inspo for Sacred Pools? The Japanese work ethic and culture means so much to us and has inspired in our daily life and work life. We want to provide the same driven customer service dedicated towards you and yours with out the invasive attitude. The true mother and inspiration has come from Sea Mountain Resorts. An enchanting wild peaceful summit to explore the bounds and strengths of your love and togetherness. 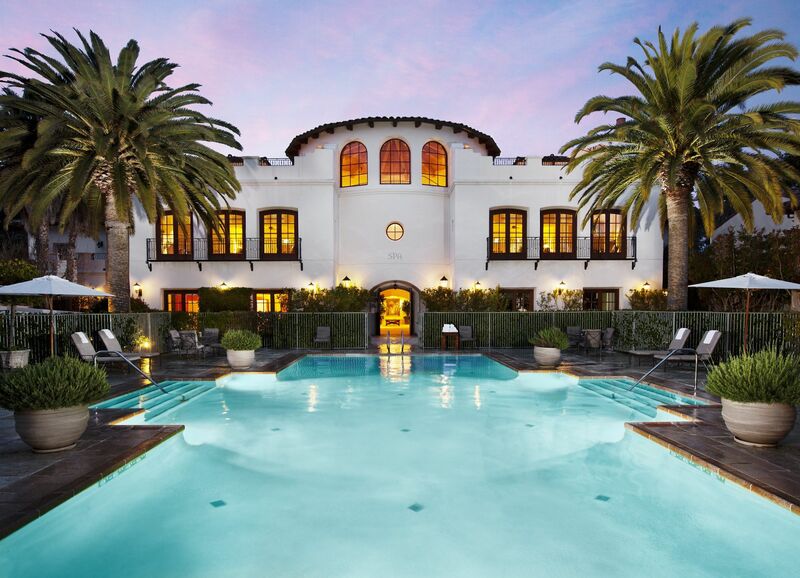 With a wild California attitude live out your fantasies in this Disneyland for Adults within the Disneyland for Adults in Las Vegas and Palm Springs open year round with heated pools and caves and secrets. 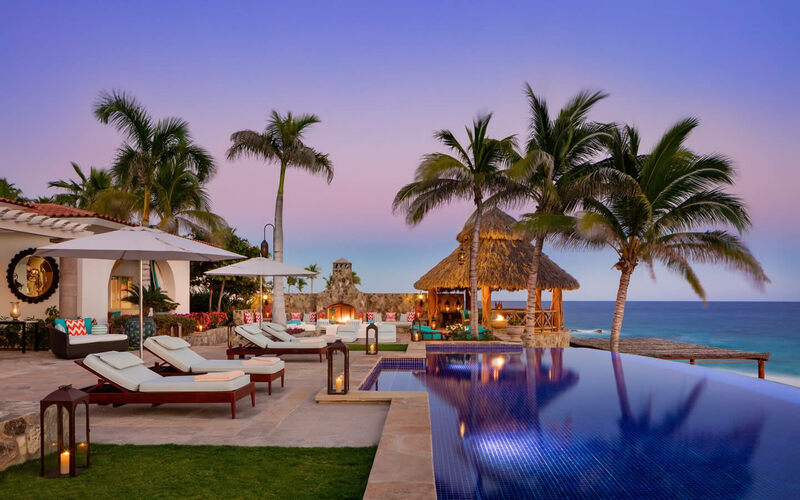 Have a day retreat while you rent a suite and see what limitless potential your relationship has with sparkling pools and grounds and a Zen and international vibe like nothing else on the planet. Every trip absolutely must must spend at least the day and do a couples massage. The home of our Sacred Massages inspiration for our philosophy and the desire to cater to just you and yours, a day of bliss for two or more.A clothing optional all inclusive amusement park dreamland for couples where unicorns play. You’ll keep coming back for more! One of our first romantic trips together, transitioning us to a new stage of our Journey was at the beautiful Ritz-Carlton Bacara Hotel in a secluded beautiful private beach in Santa Barbara, California. Set in an idealistic background the Spa features an adults only pool, sauna and steam room in a beautiful space. This is one of our favorite spots to return to and remember.for a luxurious getaway for two without crossing the Pacific. We try to bring back the California Spirit and intimate moments we’ve shared at Bacara here at Sacred Pools. 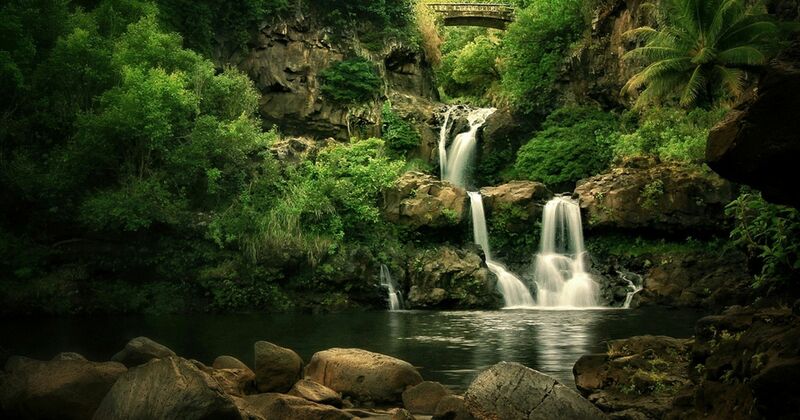 Also known as the Seven Sacred Pools on the Road to Hana a stop at this secluded scenic mother of all Kodak moments waterfall dreamscape. A breath of earthly energy and spirit, your skin may tingle at the moment of awe induced by this heavenly beauty. Hawaii is a great romantic getaway anytime of year.